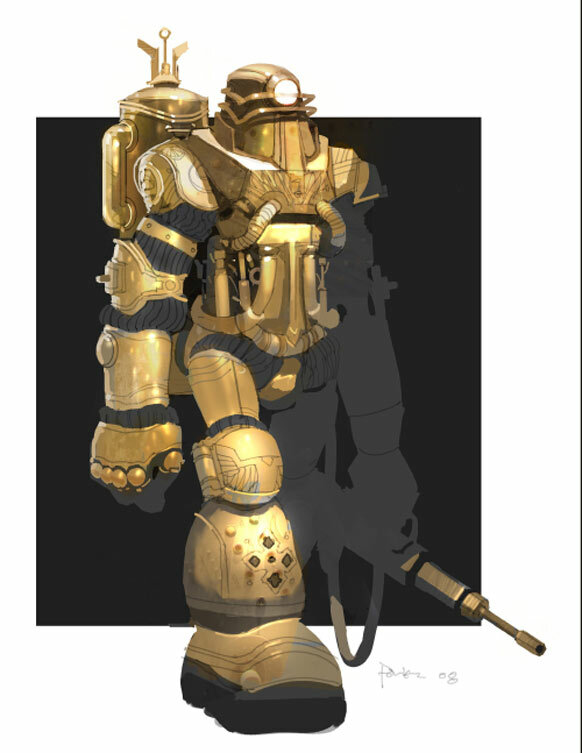 BioShock 2 could have featured Big Daddies with the power of flight. 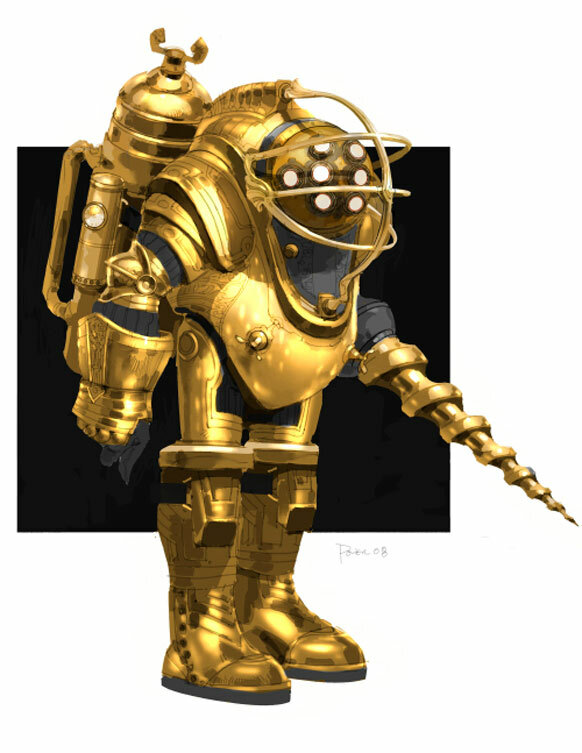 BioShock's Big Daddy will probably go down in videogame history as one of the coolest foes ever created. 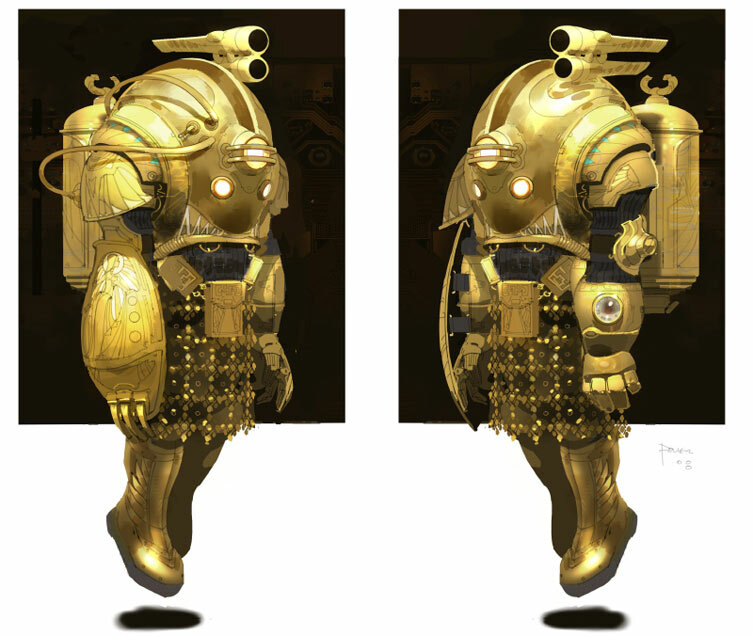 It returned in BioShock 2, but if concept designer Iain McCaig had all of his designs for the game included, it would have been slightly more terrifying. 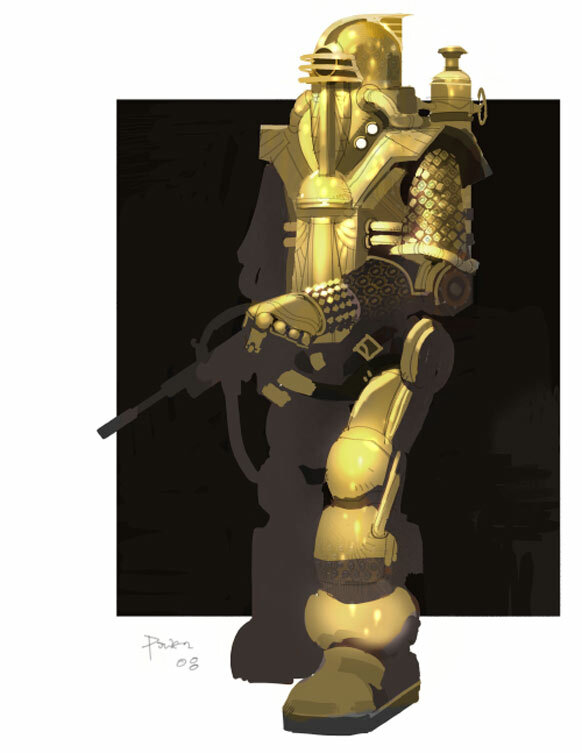 Big Daddies come in all sorts of different types, from the Bouncer to the Rosie to the Lancer, and each have different armaments, helmets, and exteriors. One factor they all share is that they're stuck to the ground by the force of gravity. However, two designs by McCaig show Big Daddies that can apparently fly, which is a scary thought. Not only would these Big Daddies be hard to kill, but they'd be buzzing around like bees in the rafters while unleashing rockets or lasers or whatever McCaig has equipped them with. 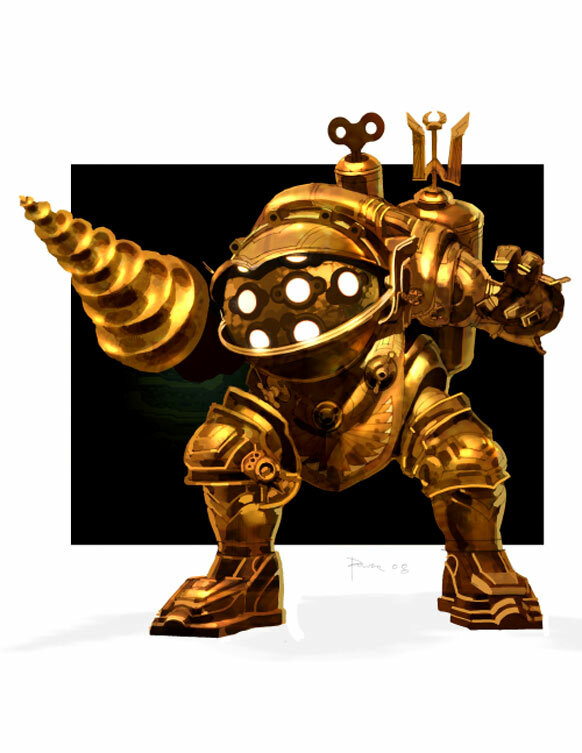 I can see why these flying Big Daddies weren't put into BioShock 2, because they're a bit outside of the game's damp and rusty aesthetic. 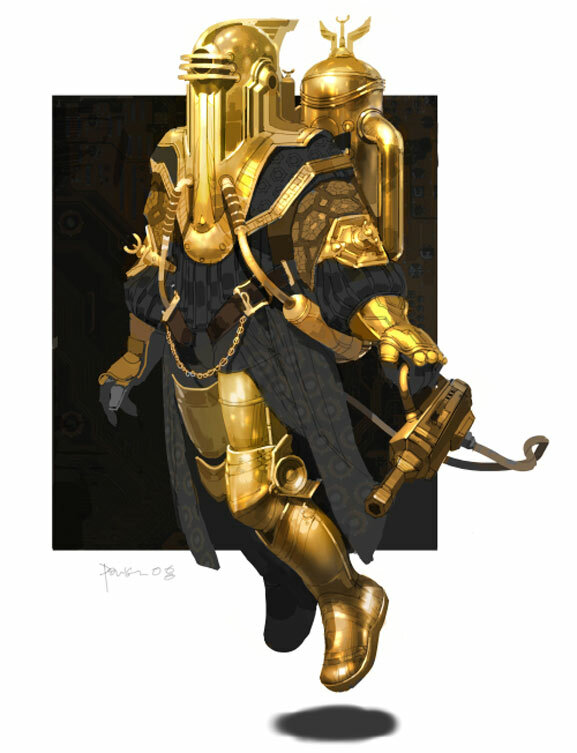 McCaig's designs in general are still gorgeous to look at, even when it comes to the non-aerial foes. The rest of his work, including costume designs and splicer designs, can be found here. Edit: These are apparently images of how the Big Daddies appear to the Little Sisters, and not psychic, flying Big Daddies.